This year I have the honor – with my colleague and 6 years in succession System Center MVP Maarten Goet – to co-present a session at TechDays 2013. TechDays is the Microsoft knowledge event IT professionals and developers in the Netherlands a take place on 7 and 8 March in the World Forum in The Hague. On Friday we deliver a session on how to manage mobile devices by cloud. Devices sneak the organization within the past few months, sometimes even without IT knows. Suddenly running the board with iPads and synchronizes an employee his business email on Android. How to control this behavior? What Microsoft offers in this area? With the introduction and integration between System Center Configuration Manager 2012 SP1 and Windows Intune, Microsoft has excellent opportunities for cross-platform management to make modern devices. 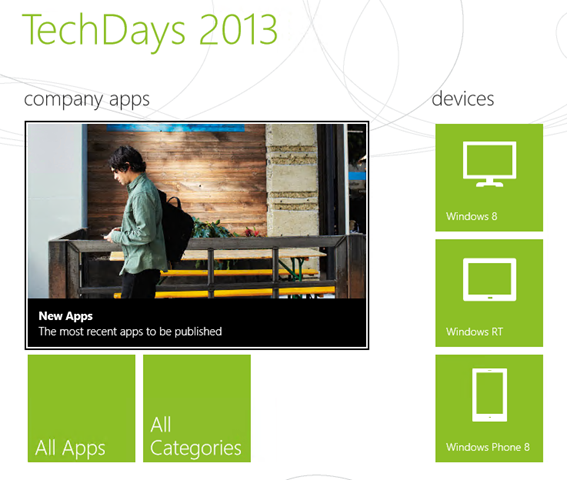 With Windows 8 on tablets, the Surface and Windows Phone 8 we go even one step further: Connected , integrated yet safe. Come to this session to learn how Microsoft solutions that today you can let all reality!